The sacrifices of the men of Pointe du Hoc are not to be forgotten, neither is America’s purpose in war. Liberation, not Conquest. For 4 long years, much of Europe had been under a terrible shadow. Free nations had fallen, Jews cried out in the camps, millions cried out for liberation. Europe was enslaved, and the world prayed for its rescue. 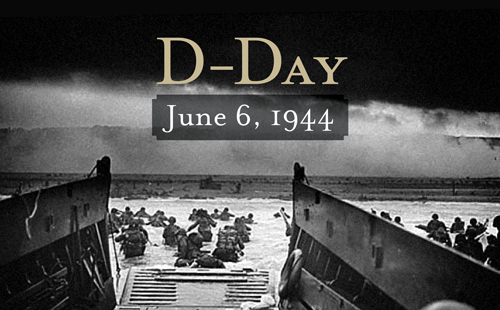 Here in Normandy the rescue began. . . .
We stand on a lonely, windswept point on the northern shore of France. The air is soft, but 40 years ago at this moment, the air was dense with smoke and the cries of men, and the air was filled with the crack of rifle fire and the roar of cannon. . . .
Gentlemen, I look at you and I think of the words of Stephen Spender’s poem. You are men who in your “lives fought for life . . . and left the vivid air signed with your honor.” . . .
Forty summers have passed since the battle that you fought here. You were young the day you took these cliffs; some of you were hardly more than boys, with the deepest joys of life before you. Yet, you risked everything here. . . . There is a profound, moral difference between the use of force for liberation and the use of force for conquest. You were here to liberate, not to conquer, and so you and those others did not doubt your cause. And you were right not to doubt. . . . The Americans who fought here that morning knew word of the invasion was spreading through the darkness back home. They fought — or felt in their hearts, though they couldn’t know in fact, that in Georgia they were filling the churches at 4 a.m., in Kansas they were kneeling on their porches and praying, and in Philadelphia they were ringing the Liberty Bell. . . .
We’ve learned that isolationism never was and never will be an acceptable response to tyrannical governments with an expansionist intent. . . .